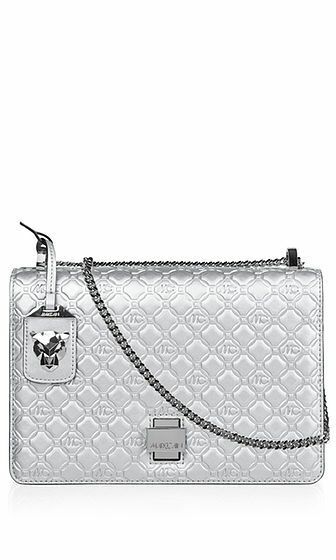 Shoulder bag in faux leather with embossed Marc Cain monogram. 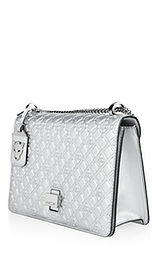 The shoulder bag has a chain strap and an elegant metal twist clasp. 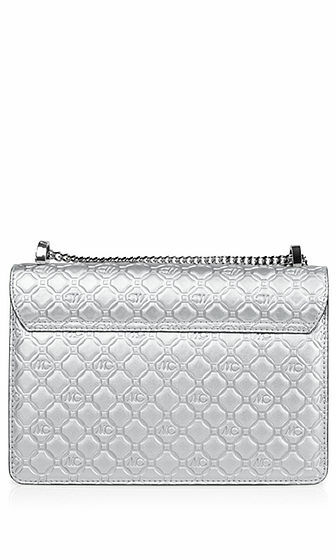 There is an additional zip pocket inside, as well as compartments for a smartphone. 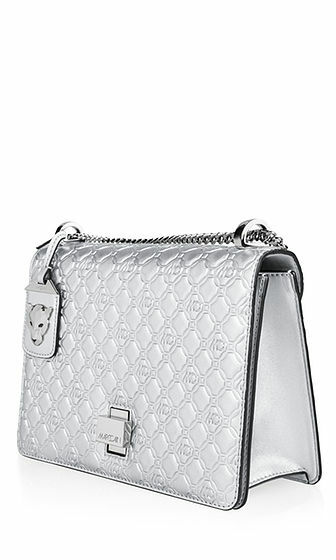 The leopard-head pendant makes a stunning attention-getter.